Start a team to participate with friends! Support a participant with a donation! Learn more about the Gobble Jog! 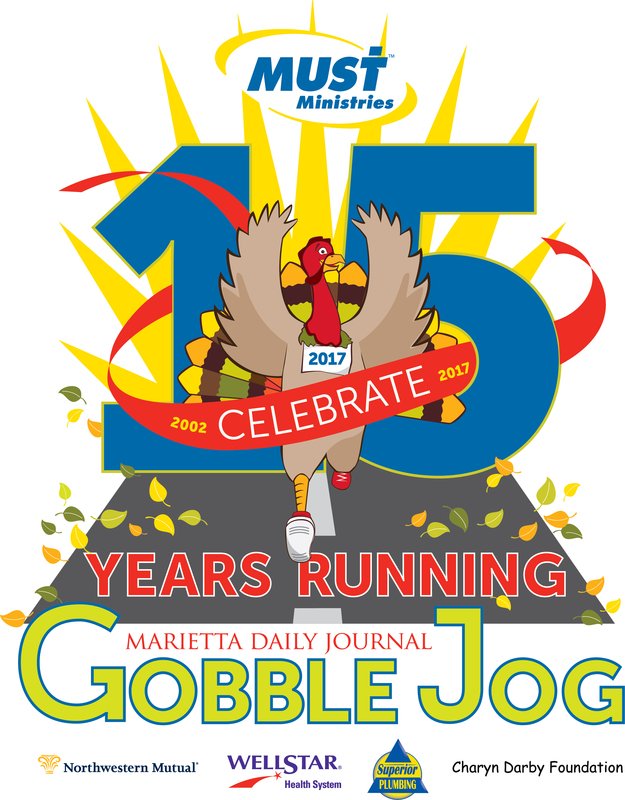 Join us for the 15th Annual Gobble Jog! Online registration has closed; however, you can still sign up and join us one of two ways. We will offer walk in registration Wednesday at the Cobb Civic Center, 548 South Marietta Parkway from 10:00 – 6:00 pm. If you have kids coming with you, we will have free bounce houses there as well. We will open race day registration Thursday morning at 6:30 am on the Marietta Square. The timed 10K and 5K will be closed but all of the untimed events will still be available – 5K, 1K, Tot Trot. Happy Thanksgiving! 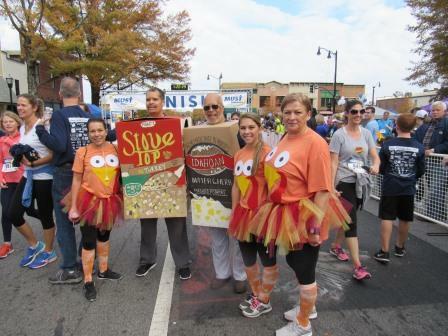 The Gobble Jog is a Thanksgiving Day tradition featuring a 10K run, 5K run/walk, 1K run/walk and a Tot Trot. It's fun for the whole family! Click on one of the links above to register. If you have questions about your registration, please click here to email us. The race benefits MUST Ministries, a non-profit dedicated to helping our neighbors in need by providing food, clothing, shelter, job training and more. Last year MUST helped over 30,000 people; two-thirds of them were children. For more information about MUST, please visit www.MustMinistries.org. Click here for a printable registration form. Click here for the Gobble Jog brochure.